Why not? 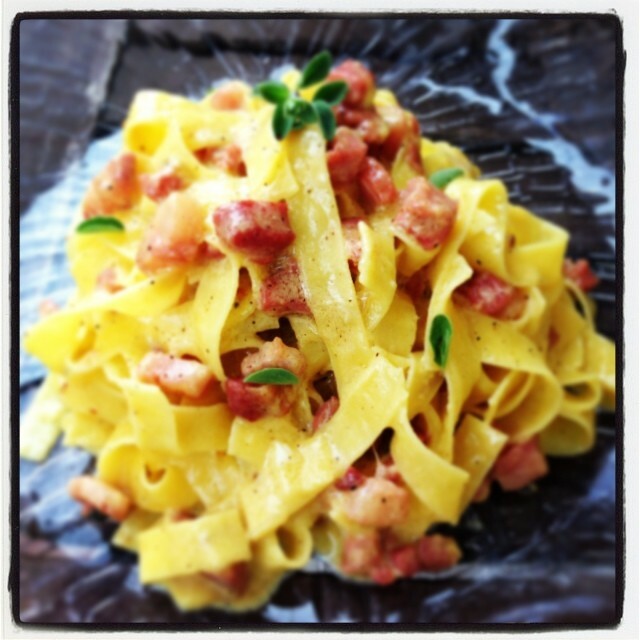 Today is a cloudy day and I feel like fettuccine alla Carbonara. With a twist, put fresh marjoram for a more inviting scent. Bon appetit!